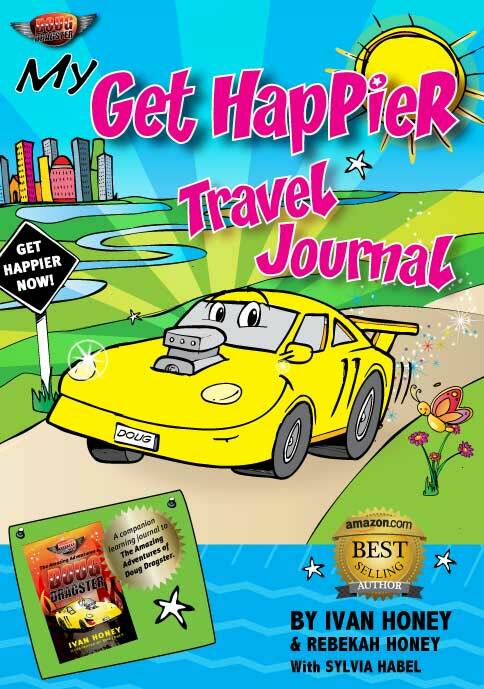 My Get Happier Travel Journal contains GREAT questions and activities to explore and personalise the powerful messages in the story book, ‘The Amazing Adventures of Doug Dragster’. Teaching children the skills for a happier and more successful life! 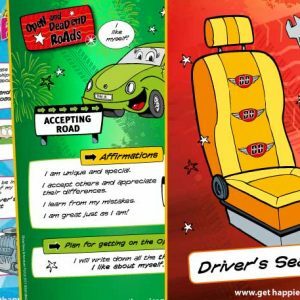 My Get Happier Travel Journal contains GREAT questions and activities to explore and personalise the powerful messages in the story book, ‘The Amazing Adventures of Doug Dragster’. 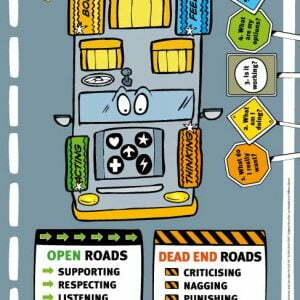 Each chapter has discussion questions, an activity sheet and positive affirmations. 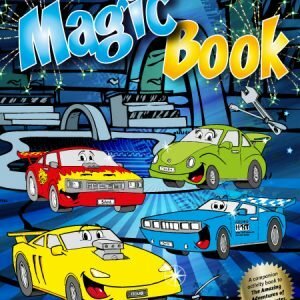 This learning journal provides children with an opportunity for reflection, taking responsibility and personal growth. 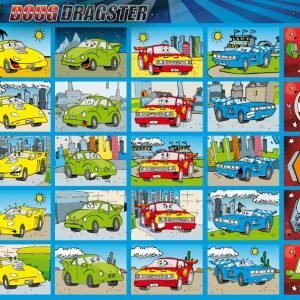 It is part of Doug Dragster’s Get Happier Project, a comprehensive program designed to enable children to better understand their behaviour and the behaviour of others. Through stories and activities, children will learn key aspects of emotional intelligence and resilience, acquire social and emotional skills and learn how to make and keep better relationships.